Salen var full da Global Monitoring Report ble lagt frem på et seminar i Oslo 3. og 4. februar. Blant deltakerne var statssekretær i Kunnskapsdepartementet, Bjørn Haugstad, statssekretær Hans Brattskar i Utenriksdepartementet, direktør Villa Kulild i Norad og UNESCO-kommisjonens leder, Tora Aasland. I tillegg bidro flere internasjonale eksperter, deriblant professor Robin Alexander fra University of Cambridge. Asma Zubairi, GMR-teamet: Presentation of the main findings of the EFA GMR 2013/14. Robin Alexander, professor, University of Cambridge: Teaching and learning: The quality imperative revisited. Svein Sjøberg, professor, UiO: PISA-testing: Pedagogy or politics and power. Mioko Saito, programspesialist, UNESCO/IIEP: Gender equality in learning outcomes in Africa: Evidence from SACMEQ and IIEP research studies. 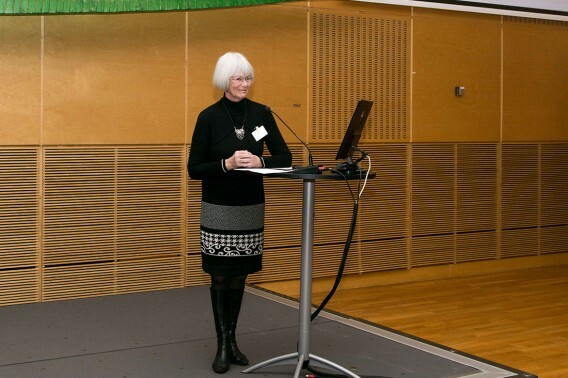 Gerd-Hanne Fosen, leder for utdanning, Redd Barna: Save the Children’s global quality learning environment indicator. Lava Deo Awasthi, direktør for utdanningsdirektoratet, Nepal: How and what do we assess: A country perspective from Nepal. Dennis Sinyolo, senior koordinator, International Education: Teaching and the teaching profession: Core issues from the perspective of Education International. Caroline Pontefract, direktør for utdanning, United Nations Relief and Works Agency (UNRWA): Quality schools for quality teaching in Palestine. Kirsti Klette, professor UiO: Teaching matters: Research on teaching qualities. What do we know? Rose Ephraim Matete , Phd-kandidat, UiO: Challenges of teachers in decentralised primary school management in Tanzania. Hülya Kosar Altinyelken, førsteamanuensis, University of Amsterdam: Implementation of student-centred pedagogy in Turkey: Some critical reflections from primary school teachers. Xavier Rambla, førsteamanuensis, Autonomous University of Barcelona: Conditional cash transfer programmes in education: Evidence from Argentina and Brasil. Global Monitoring Report, som gis ut hvert år, viser utviklingen mot de seks Utdanning for alle-målene. Se hele rapporten her. Den siste rapporten heter «Teaching and learning: Achieving quality for all», og setter søkelyset på kvalitet i utdanning og betydningen av gode lærere. Rapporten fastslår blant annet at 130 millioner barn går på skole i flere år uten å lære seg grunnleggende lesing og skriving. Mer info her.